It was a few days before the Fourth of July, and the man known to his friends as Scruff was ticking off his final to-do list. A grocery run for steak and shrimp. A haircut. And more fireworks. History has shown, Scruff observed, that you can never have too many fireworks. 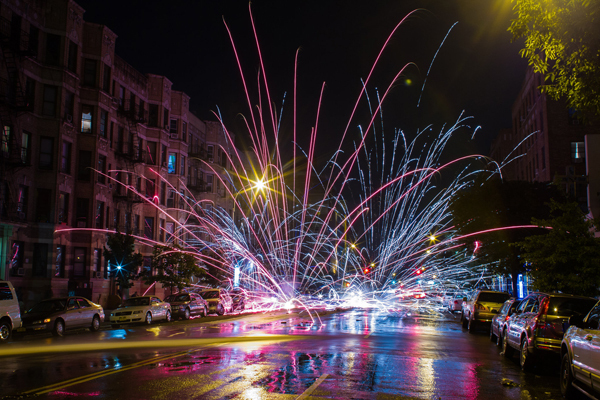 All over the country, people will gather for pyrotechnic displays this weekend, none larger than the Macy’s Fourth of July show taking place this year over the East River, by the Brooklyn Bridge. But even as millions of people watch that show on television, another Independence Day tradition will be honored on the other tip of Manhattan. Read more: Manhattan’s Illegal Fireworks, a Tradition of Boom and Bust – NYTimes.com.